Given a smaller space to remodel, notice how using frameless clear shower doors, enhances the overall look and feel of this bathroom. By placing the duel vanity lengthwise afforded more room than before and by using the end part of the room, saved space by adding dressing drawers. This is simple and elegant design accented by using a lighter porcelain floor and shower tile. Given a smaller space to remodel, notice how using frameless clear shower doors, enhances the overall look and feel of this bathroom. By placing the duel vanity lengthwise afforded more room than before and by using the end part of the room, saved space by adding dressing drawers. This is simple and elegant design accented by using a lighter porcelain floor and shower tile. Given a smaller space to remodel, notice how using frameless clear shower doors, enhances the overall look and feel of this bathroom. By placing the duel vanity lengthwise afforded more room than before and by using the end part of the room, saved space by adding dressing drawers. This is simple and elegant design accented by using a lighter porcelain floor and shower tile. 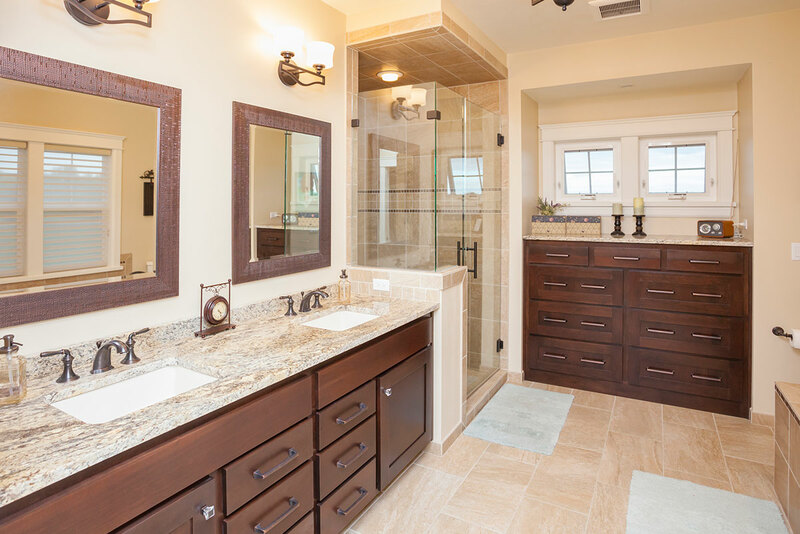 [WD_GALLERY id=843] Given a smaller space to remodel, notice how using frameless clear shower doors, enhances the overall look and feel of this bathroom. By placing the duel vanity lengthwise afforded more room than before and by using the end part of the room, saved space by adding dressing drawers. This is simple and elegant design accented by using a lighter porcelain floor and shower tile. Given a smaller space to remodel, notice how using frameless clear shower doors, enhances the overall look and feel of this bathroom. By placing the duel vanity lengthwise afforded more room than before and by using the end part of the room, saved space by adding dressing drawers. This is simple and elegant design accented by using a lighter porcelain floor and shower tile.